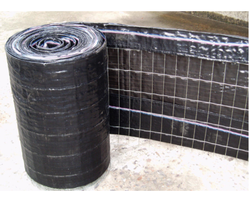 We are a leading Manufacturer of silt fence fabric from Mumbai, India. Silt Fence Fabric is the most preferred sediment control fabric widely used at construction sites and agricultural lands for erosion control. These are specially designed to block the silt from runoff. In this way, it prevents topsoil from washing away. These uniquely designed fabrics allow water to pass through, holding back the sediments. With long lasting quality, these fence fabrics are light in weight and easy to handle during installation.